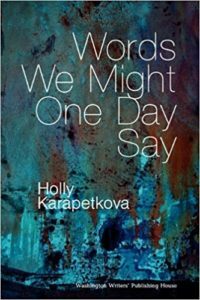 WWPH’s forthcoming 2010 poetry contest winner, Words We Might One Day Say by Holly Karapetkova (October 15, 2010), explores subjects of love and loss, marriage and domesticity, parenting and motherhood. The pieces range in style and form from prose poems to sonnets, moving through a variety of voices and experiences. 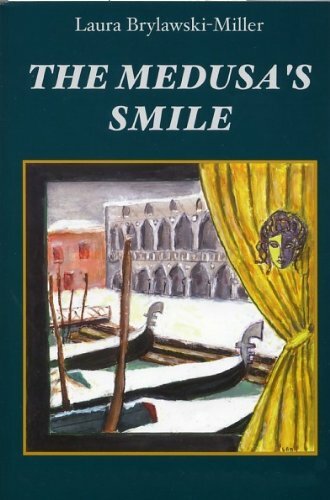 Many of the poems are inspired by folklore and myth, and many deal with the interaction between two cultures: the author’s own American culture and her adopted Bulgarian culture. The first poem in the collection, a prose poem entitled “The Woman Who Wanted a Child,” introduces the book’s themes by asking questions about the limits of motherhood, taking its cue from the mythological experience of metamorphosis.Holly Karapetkova’s poetry, prose, and translations from the Bulgarian have appeared in a number of journals and anthologies, including Crab Orchard Review, New Madrid, Mid-American Review, River Styx, 150 Contemporary Sonnets, and the International Poetry Anthology (Slovenia). She is the author of over twenty books and graphic stories for children and young adults, including Goodbye Friends! and Knock! Knock! She also serves as artist in residence and literary advisor for the Rhodope International Theatre Laboratory in Smolyan, Bulgaria, where she teaches, writes, and performs poetry for the stage. She holds a Ph.D. from the University of Cincinnati and an M.F.A. from Georgia State University. 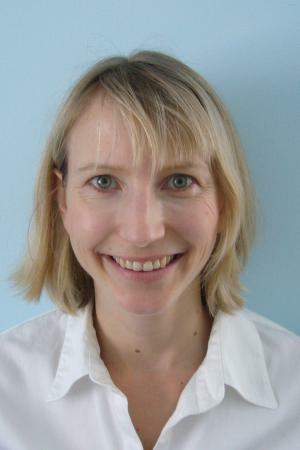 She is an Assistant Professor of English at Marymount University and lives in Arlington, Virginia. Parts of Speech from Holly Karapetkova on Vimeo. into she, and thus by you as her be kissed. I’ll simply stop all verbs, keep you from leaving. threatened to burst onto the floor. of Dutch milk only foreigners could afford. I had to wait in line for a loaf of bread. Most days they’d run out before my turn to buy. but bread I could buy and waste at will. but I had learned to live with hunger. What was I to do with all of your affection? one day your shelves, too, would run empty? How long have you been writing? Is it something you’ve always been passionate about? I’ve been writing ever since I can remember; I probably wrote my first poems when I was in second or third grade, but I think I really got interested in writing around adolescence when, like many people I know, I had a lot of troubling emotions to deal with. I turned to writing as sort of a comfort to work through difficult times. I wrote a lot about the emotions of not fitting in and not feeling wanted. I wrote about my first love, my first break up, and the poems were horrible, but I found writing was a tool to help me work through problems and a way to express things I couldn’t express in any other manner, and it still works for me that way. What drew you to poetry in particular? I think probably a combination of things. I’ve always loved song, I’ve always loved rhyme, ever since I was a child. My mother’s a kindergarten teacher so she instilled in me a love for rhymes and poetry from a very young age and I guess it just was a natural fit for me. I also have a short attention span when it comes to my own writing. I love reading novels, but I seem to have trouble sustaining my own ideas for more than about two pages. It’s hard to say exactly what about one genre of writing suits you, but I’ve tried writing fiction and non-fiction, I’ve tried drama, and they don’t work as well for me for some reason. I think that the compact language of poetry and the attention to every word is something that excites me. Like all poets, I’m obsessed with language and ways of rendering the unspeakable in words, and I think that’s what poetry does best. You also write children’s books. What appeals to you about writing for children? Are there any differences between the way you write for children and the way you write for adults? Well, again, because my mother’s a kindergarten teacher I was always surrounded by my mother’s songs for children, her rhymes for children, and I help her edit her website and I’ve helped her edit several books for children. Probably, it was more natural to me than writing for adults because it was something that was always in my house growing up. When my son was first born, though, was when I really began focusing on writing for children. There’s obviously a huge difference in the way that I write for children and the way I write for adults. I write songs for children as well as poems, and I often compose them while I’m spending time with my children. I don’t compose them sitting at a computer because they are so based in rhythm and rhyme, they’re so song-like that you can carry them around with you and work on them as you go. When I’m working on poetry for adults it’s a much more intense process. That first seed often comes in my head when I’m going about my daily business, or sometimes when I’m on walks, but the real work of putting a poem together comes later in the revision process that goes on and on and on. I work on poems sometimes for years before I’m ready to show them to anyone, whereas with my children’s poetry I think they come much more quickly and they’re more just for fun; they’re not trying as hard to reach a truth or a larger meaning. Do you have a particular writing practice? Do you like to wait for inspiration or do you write on a schedule? I try very hard to write on a schedule as much as possible. I do have two children so my writing time depends on their schedules, which are not always easy to regulate. During the semester when I’m teaching and I’m very busy, I try to put aside at least an hour a couple days a week to sit down and write. That doesn’t seem like much but when you’re working full time and you’re taking care of children and you have many other concerns, sometimes that’s as much as you can get. But I learned the hard way how important it is, especially when you’re busy, to put aside a little bit of time for writing. Right after my son was born, I was finishing the critical study in my dissertation and I really didn’t have a lot of time to spend writing. It was probably six to nine months when I really didn’t write my own poetry. I didn’t even start or revise anything at all, and I found that when I finally had the time to get back to writing I had almost forgotten how and to some extent had to relearn parts of the process. After that experience I decided that I would never allow myself to go a long period of time without some intense moments of writing; even if I can just schedule an hour here and there it at least keeps me in the groove. In the summer time, obviously, those of us who teach have a lot more time to write, and that’s when the bulk of my writing gets done—particularly things like putting together or revising a manuscript, which requires more sustained attention. In terms of individual poems, I think most of them start before I sit down at a computer or notebook. I sometimes have bouts of insomnia so poems can start in the middle of the night when I can’t sleep. Many of my poems start on long walks, many of them start when I’m playing with my son or trying to get my two-month-old daughter to sleep. But the hard work of really making the ideas into poems comes at the computer, sitting down, doing the long process of revision. So, I guess my writing process is something along the lines of taking a little seed, a little exciting idea that pops into my head, and working and reworking it until I can get it to where I want it or it takes me somewhere that begins to make sense. Most of the time it doesn’t get there and it gets thrown away. Fortunately, it’s a very environmentally friendly process, right? Throwing words away—they don’t end up in a landfill, so it’s quite all right. Bulgaria is referenced in many of your poems. Why is Bulgaria such a huge influence on your writing? My husband is Bulgarian. And I have known him for—I hate to even think about it, because it makes me feel really old—close to fifteen years. I lived in Bulgaria for a year when I was very young right after I met him, and I’ve continued to spend almost every summer there because now I have in-laws, family, and many good friends. For the past six years I’ve been working as a faculty member of the Rhodope International Theatre Laboratory, a summer program for theater students in Smolyan in the mountains of Bulgaria. So I spend four to six weeks in this beautiful small town, working with American students but also interacting with Bulgarians and the culture. I feel like Bulgaria is a second home to me, and in some ways I feel like it’s more a home to me than America, even though I was born here. I think living and existing in a different culture does something really productive to your mind and to your sense of perspective, and it has obviously impacted my creativity enormously. And not just living in the culture, but also reading the poetry of Bulgaria and of Eastern Europe. I’ve translated some Bulgarian poetry, and there’s no way it would not enter into my sensibility. My husband also has a tremendous number of stories from his childhood that have entered into poems—some of them are in the manuscript. He grew up under a Communist government, and I’m always fascinated by his crazy stories about a life that was so different from my own. 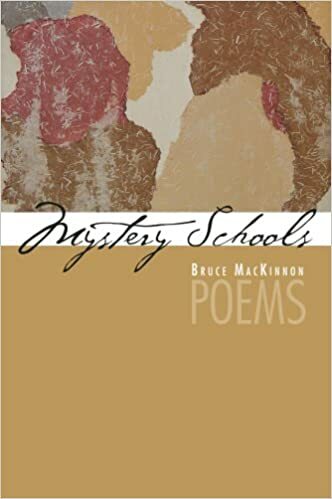 There are many poems in this volume about children and being or becoming a mother. Are these inspired by your own experiences? Yes, absolutely, those poems come straight out of the birth and early years of my son. Right after I finished my dissertation, I was basically unemployed and home with him for about a year, and it turned out to be a really interesting time for my writing even though it was professionally frustrating. All of a sudden, when you become a mother, you’re not the center of the universe anymore, and for me that was quite a shock. I know for many people it’s not, but I think I was always wrapped up in my own world and especially in my own poetry world, so being jerked out of that world was a bit of a shock. I never had moments of not loving my son, but I did have moments of “Oh my goodness, what did I do?” And so some of my poems I call “Bad Mother Poems” because I had questions and I had doubts about whether I could be a good mother or whether I could give my son what he needed, whether it was actually a healthy relationship to have this other being that was so incredibly dependent on me that sometimes I felt that I couldn’t get back to myself. What I didn’t know at the time was that children grow up—by the time that he was two he was more self-sufficient in many ways and didn’t need me as much. But in those early years with him I felt like I was losing parts of myself, and I think some of the poems reflect that, this sort of ambiguity about early motherhood. Some of the poems obviously reflect my great love for him, which was always there, but there was a lot of uncertainty and a lot of fear, too. I wanted to allow myself that alter-ego, the bad mother in me. I think poetry in many ways allows us to explore things that we’re afraid of, and things that we wouldn’t do or say, or are afraid to do or say, in real life. So the bad mother poems became way of purging some of the negative feelings that I had. What made you decide to divide Words We Might One Day Say into three parts? The book has been through many different renditions. I think at one point it had two sections, at one point it had five sections. The poems in the book are inspired by a variety of different circumstances and were written over a period of nearly eight years of my life. 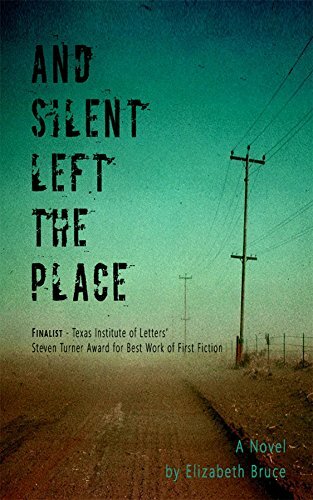 I had the sense that they belonged in one manuscript together—they all had the same voice and shared certain concerns I kept going back to again and again, but how exactly to work them together was a big question—how to make all the different parts feel like the whole that they felt like instinctively to me. The first section deals more with domesticity, love and settling down, and the final section deals more with my experiences in motherhood, and the middle section attempts to link those two very different sections. It’s full of poems about the limits of life and death, and it reflects upon the change that came to me between my experiences with marriage and my relationship with my husband, and then the huge change that came about when I became a mother. 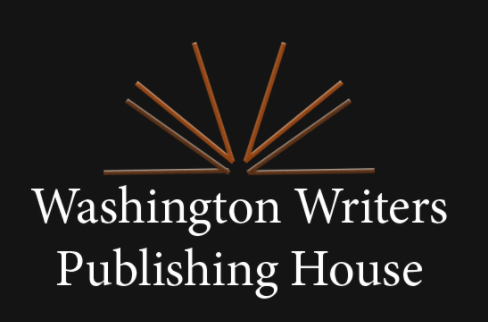 How did you find out about Washington Writer’s Publishing House and what made you decide to enter the contest for poetry? I check around on the Internet for book contests and I think there are a number of lists out there that I was using to find out contests I might be eligible for. Unfortunately, right now contests are pretty much the way to go when you’re an unestablished writer. Most publishers will not read a manuscript unless you enter a contest and pay a fee. So I think that’s where I first heard about the Washington Writers’ Publishing House contest. I checked out the website, and it looked like Washington Writers’ Publishing House was a beautiful organization that put out beautiful books with really good poetry, and I was also very excited about the fact that if I won the contest I would become part of the organization. I’ve been in the Washington area almost three years now, and I’ve come to love the Washington community of writers. Working with Washington Writers I’ve met some amazing people, and it’s given me a nice foundation, a nice grounding here in DC, which is a wonderful thing. Are there any particular authors that inspire you and your work? Many! This is always a difficult question to answer, in part because the answer is a list of writers and works too long to name and in part because influence is a complex matter. I think that, like many poets I know, I read eclectically and erratically. At the time that many of the poems in the manuscript were composed, the year that I was home with my son, I remember spending a lot of time with the poetry of Louise Gluck, C.D. Wright, Louise Erdrich, Odysseus Elytis, and Ovid’s Metamorphosis. I also worked on a project involving folk songs from a nomadic tribe that once migrated between northern Greece and southern Bulgaria but that is now practically extinct, and on an article on Anne Spencer’s poetry. And I was reading other books of poetry, parenting books, several novels, and many literary journals. All of these voices certainly found their way into my work, though where and when may be hard to pin down! Do you have any plans for future works? Yes, I have a second manuscript in progress right now and it’s pretty close to being finished. A very good friend of mine died of cancer about a year and a half ago, and so a lot of the poems are dealing with his death and the impact of death in general because he was my age, very young, very full of life, and had a two-year-old daughter. We basically grew up together, we were friends since second grade, and our families were very good friends. In many ways he was a mirror of me, and the fact that he died and it was possible for him to die at such a young age was an eye-opening experience for me, horrifying, and in a way empowering because it changed the way I was seeing my life and it made me treasure what I had a lot more. So the poems are about missing him, they’re about the sadness of his death, but also about the mystery of life and why one person dies and another lives, and the beauty of this world that his death made me appreciate a little bit more. Also, my pregnancy and the recent birth of my daughter may or may not enter in, I’m not quite sure yet, those poems are still new. But I definitely have an exciting second manuscript in process, along with several translation projects. Oh, yes, absolutely! I teach, so I’m asked for advice all the time. One of the big things I tell my students and that they struggle with is that in order to be a good writer you have to read, you have to love the genre that you’re writing in, you have to find people whose work you admire, people you want to write like—you have to apprentice yourself to some extent to established writers. And you have to write a lot. You have to be ready to revise a lot and throw away a lot, and I think one of the hardest things is that young writers (myself included when I was a young writer) fall in love with our work and we think that this little poem that we’ve dashed off in ten minutes is going to change the world. It takes a lot of time to realize that poetry is hard work and that it’s very, very dangerous to fall in love with what we’ve written. We really need to get some kind of perspective, we need other eyes, we need people to help us work through our revisions to see when things are ready. Also, we need distance, so don’t dash off something in ten minutes and try and publish it the next day. Give it time to sit, give yourself time to revise it and to work back through it and do the hard work of writing, the refining and reworking so that it has the kind of impact that it needs to have in order to make a difference in the world, which is what we all want to do, whether or not that’s possible.